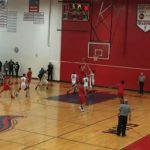 Westwood, MI – January 30, 2018 – The Marquette Redmen basketball team defeated the Westwood Patriots 54-22 on Tuesday night, in a game that was broadcast live on Fox Sports Marquette 105.1-99.9 and online at foxsportsmarquette.com. 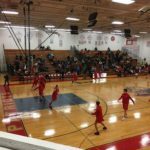 The Redmen, who were coming off of a tough 80-63 loss to the Kingsford Flivvers, were able to bounce back and get the win against the Patriots. 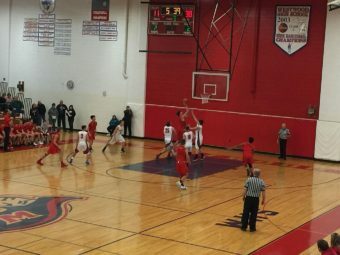 To say that the Marquette Redmen dominated the game’s opening quarter would be incorrect; rather, Marius Grazulis dominated the quarter. Grazulis went on a 7-0 single-handed run to open the game, putting the Redmen up by the same score. 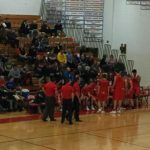 Westwood finally managed to get on the board with 3:19 left in the first quarter, but they couldn’t maintain offensive pressure on Marquette, and after one quarter, the score was 17-7 in favor of the Redmen. The second quarter was much the same, with Marquette controlling play, and at halftime Marquette held a 34-11 lead. 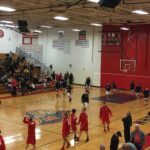 Marquette continued their dominant ways in the second half, possibly trying to send a message after their previous loss at the hands of Kingsford. 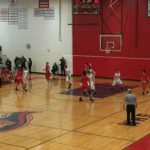 The Redmen outscored the Patriots 14-4 in the third quarter, bringing a 48-15 lead into the final quarter of play. When the final buzzer sounded, Marquette came out the victors by the rather impressive score of 54-22. For the Marquette Redmen, the leading scorer was Marius Grazulis. On the back of a 7-point first quarter, Grazulis put up 20 points on the night. 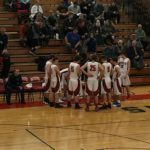 The Marquette Redmen basketball team will be back in action on Friday, February 2, when they play host to the Menominee Maroons. 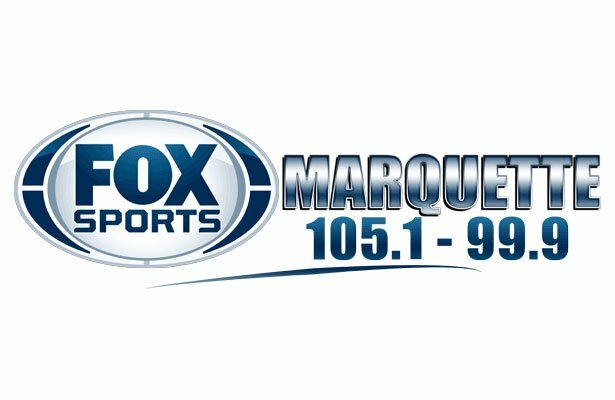 The game is set to begin at 7:15 P.M., and you can catch all the action on Fox Sports Marquette 105.1-99.9 and online at foxsportsmarquette.com. 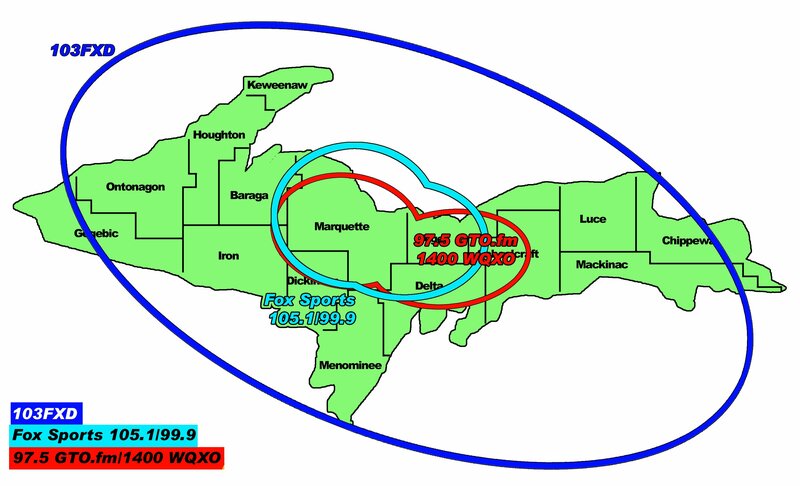 Listen to the audio from tonight’s broadcast here.